All of us love and appreciate greenery. Okay, let me say most of us do. But, many of us tend to be too lazy to care for it. I had a lovely backyard in my home in the Bay Area, and I could have turned it into a colourful garden. I never ended up doing it, owing to my laziness. It’s a different matter that we did end up being blessed by the appearance of pretty flowers, that rose from the ground (pun intended) almost magically. Now that I am living at home with my parents, I get to reap the benefits of the seeds my dad sows. My dad is exceptionally fond of gardening. His plants are precious to him. He has added splashes of green to all the balconies in the house. None of us know or understand how to care for plants. So the onus lies solely on my dad. He cares for them single handedly. I’ve seen him spending hours, rearranging his pots, adding fertilizers, digging soil, trimming the plants and doing God knows what. Watering the plants is the first thing he does every morning. 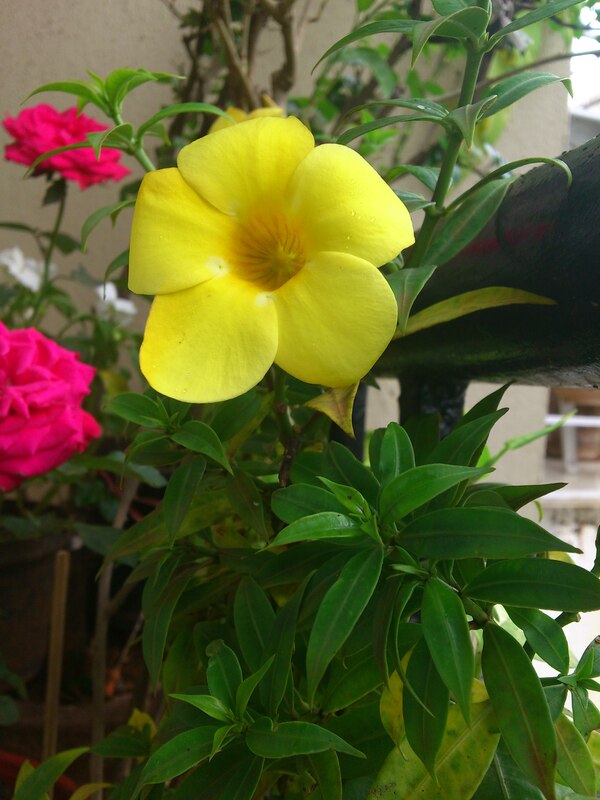 As a result, our home is always beautified by the different hues of nature. And my dad smiles with pride. We smile along. Thank you dad, had it not been for you, our home would have been devoid of this beauty. This entry was posted on July 25, 2012 at 12:53 pm	and is filed under Small joys. You can follow any responses to this entry through the RSS 2.0 feed. You can leave a response, or trackback from your own site. 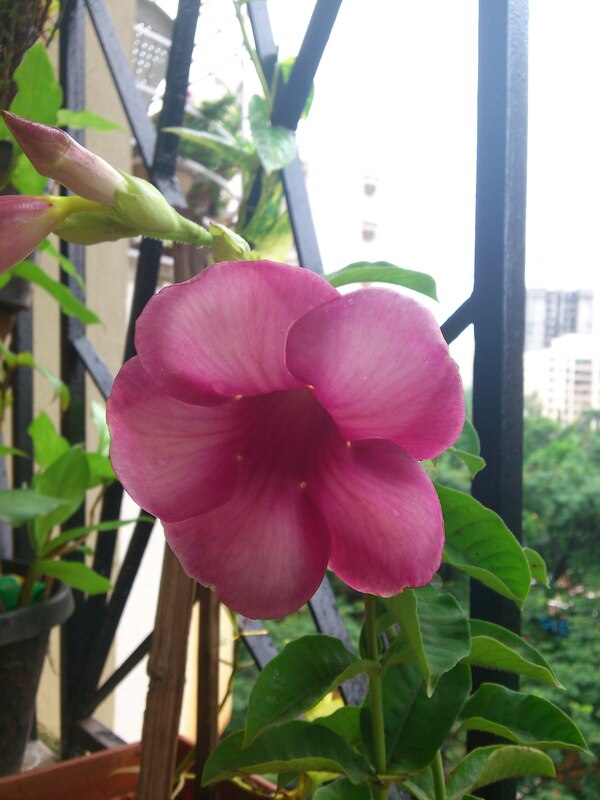 Amazing that in the heart of Mumbai you have such glorious flowers! Your father must be having ‘magical green fingers’! Trees and plants silently give shade,flowers,fruits and perfume without any expectation in return. Let us gather rose-buds and smell their perfume as we go along life’s path! Hi 🙂 Nice pics…can see the work that goes into it. 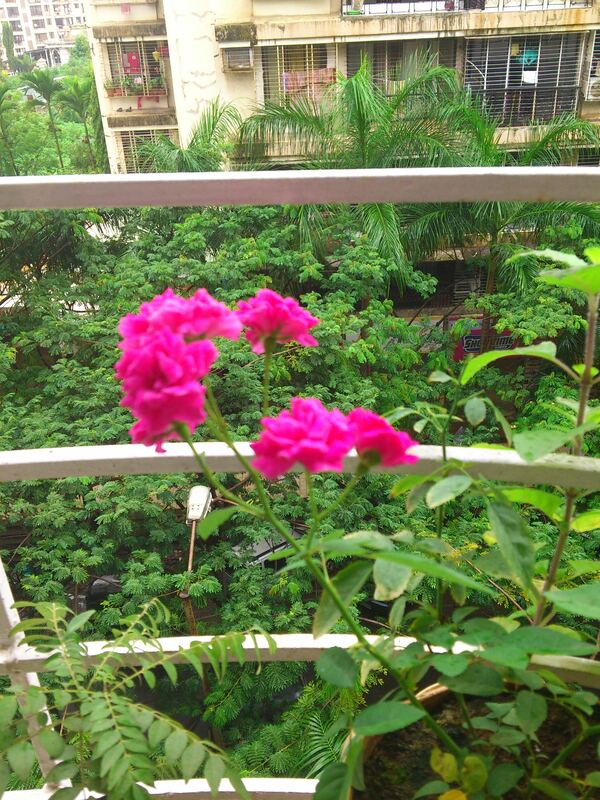 If your dad is interested in trying out urban farming, pls ask him to chk out this site I stumbled upon http://www.urbanleavesofindia.blogspot.in/ They say its possible to grow herbs and even some veggies in balconies. I knew herbs were possible, but veggies too? Wow. We have to check this out. Thanks a lot! New to your blog pepper came through reading reevaluating my life……. it touched me so much, I’m still in same boat. Reading yr post is making me think positively about life want to cut 20 yrs of my age. Your writing has full of life young lady. Happy Gardening to yr Dad. Hey Mamta, thanks so much! 🙂 You still have the rest of your life to live. Let’s all add a burst of positivity to whatever remains.. ! His flower garden is beautiful! I’m so happy you get to be there to share in beauty of it along with him! I am like you pepper, enjoy being surrounded by greenery and flowers, but never work for it. 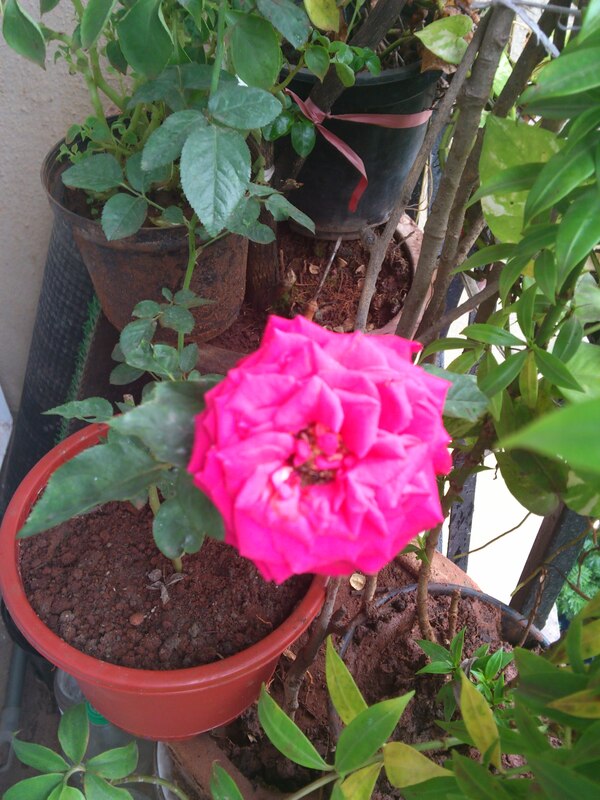 On the contrary, both my parents are such avid enthusiasts in gardening…my home (near mangalore) is surrounded by plants, creepers, flowers and even fruits and vegetables all around!.I am not sure how they did all that with regular office work, managing kids and the house!! I recently came back from an India trip..and spent most time in the gardens asking questions and watching my folks at work there. One day, I wish to be like them in their love for gardening. Very pretty flowers. Kudos to your Dad, he seems like a very patient person. I’d like to get there someday……both patience and gardening, I mean 🙂 ! wow, these are so lovely. inspires me to start gardening sometime soon and utilize the space we have around. 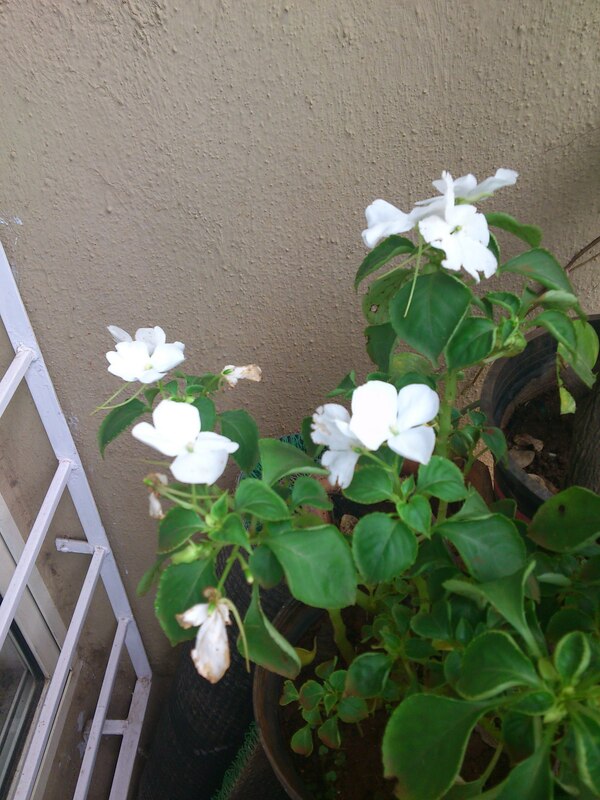 what is that tiny white flower? I have no idea 😦 I should find out!